Visit us at our upcoming trade shows! Take advantage of these great opportunities to meet with RobbJack staff in person, brainstorm a problem with our Applications Engineers, and see our latest cutting tool solutions.  EMO Hannover is the world’s premier trade fair for the metalworking industry. This year, Emo Hannover will be concentrating on the current paradigm shift in industrial production operations, which are no longer focusing (only) on “better, faster, more accurate”, but on the development and implementation of new functions within the framework of Industry 4.0. Digitization and intelligent networking, in conjunction with numerous new developments, from Big Data, data analytics and artificial intelligence, all the way through to the platform economy, create the foundations for new business models, so customers and vendors can reach a new level of productivity.